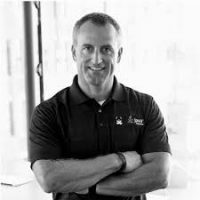 Ivar Grimstad is a Java Champion, Oracle Developer Champion and JUG Leader working as Principal Consultant for Cybercom Group in Sweden. He is the PMC Lead for Eclipse Enterprise for Java (EE4J) and involved in the forming of Jakarta EE. He is also in the Java Community Process as a member of the Executive Committee, Spec Lead for JSR 371 (MVC 1.0) and has served as Expert Group Member for a number of JSRs, such as JSR 375 (Java EE Security API). Ivar is also involved in Eclipse MicroProfile as well as being an Apache NetBeans Committer and a frequent speaker at International developer conferences. There are a couple of definitions out there for what serverless is or isn't, one of them being stateless compute containers that last for only one invocation. This is better known as functions as a service, or FaaS. This session presents a gentle introduction to serverless and FaaS, what it means for developers, and why it is important to understand this paradigm. It then turns to solutions available for developing serverless applications, or functions, with Java. The session is a mix of slides and live code demos. MicroProfile was started in 2016 where version 1.0 was a subset of Java EE specifications, the following versions bring additional technologies useful for building cloud-native microservices. Current version contains APIs and implementations for the following common patterns for microservices in the cloud. * Externalized Configuration * Fault Tolerance * Health Checks * Application Metrics * Security * Open API * Open Tracing * Client API In this fast-paced, demo-heavy session, MicroProfile will be introduced and demonstrated using the available implementations in live coding demos. The applications will be deployed to Oracle Application Container Cloud.